Use this to send MapServer’s debug messages to the Web server’s log file (i.e. « standard error »). If you are using Apache, your debug messages will be placed in the Apache error_log file. If you are using Microsoft IIS, your debug messages will be sent to stdout (i.e. the browser), so its use is discouraged. With IIS it is recommended to direct output to a file instead. 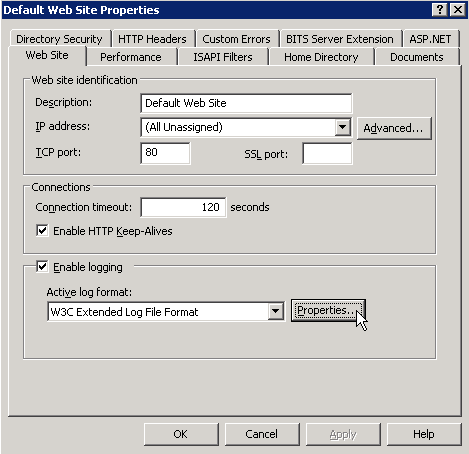 On the Web site tab, you will see an option near the bottom that says « Active Log Format. » Click on the Properties button. This error is often caused by missing DLL files. You should try to execute « mapserv -v at the commandline, to make sure that MapServer loads properly. If you have verified that MapServer creates a valid map image through shp2img, you’ve checked your MapServer log files, and there are no problems noted in your Web server logs, then you should focus your attention on possible application configuration problems. « Application » here means how you are displaying your map images on the Web page, such as with OpenLayers. To run either mapserv or shp2img, give the name of the executable as an argument to the « gdb » command. If it is not in the path, you will need to provide the full path to the executable. Once you are at the « (gdb) » prompt you can use the run command with the arguments you would normally have passed to the mapserv or shp2img executable. If the program is crashing, you will generally get a report like the above indicating the function the crash occurred in, and some minimal information on why. It is often useful to request a traceback to see what functions led to the function that crashed. For this use the « where » command.